Kim & Grant are wedding planning and I got to join them in Sarasota to capture their engagement pictures. 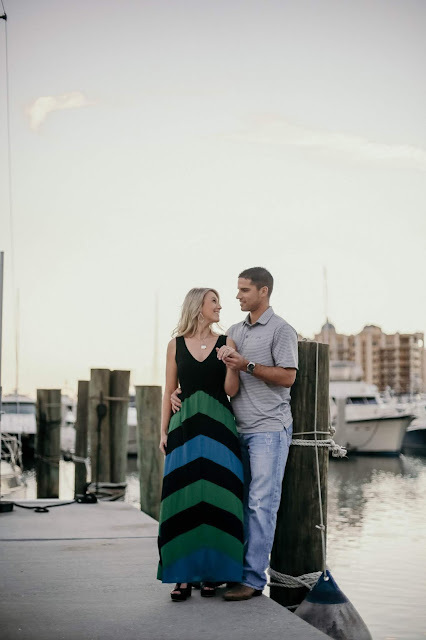 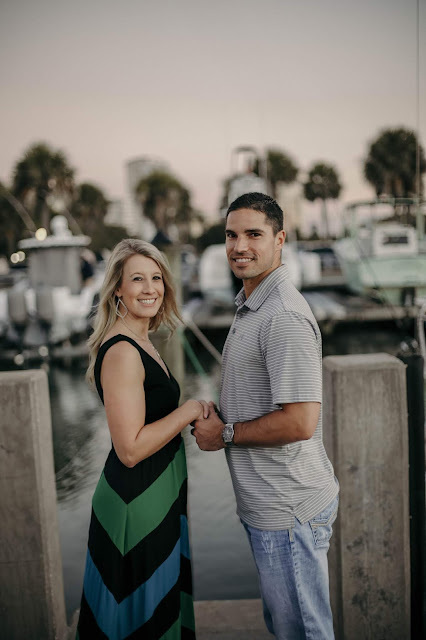 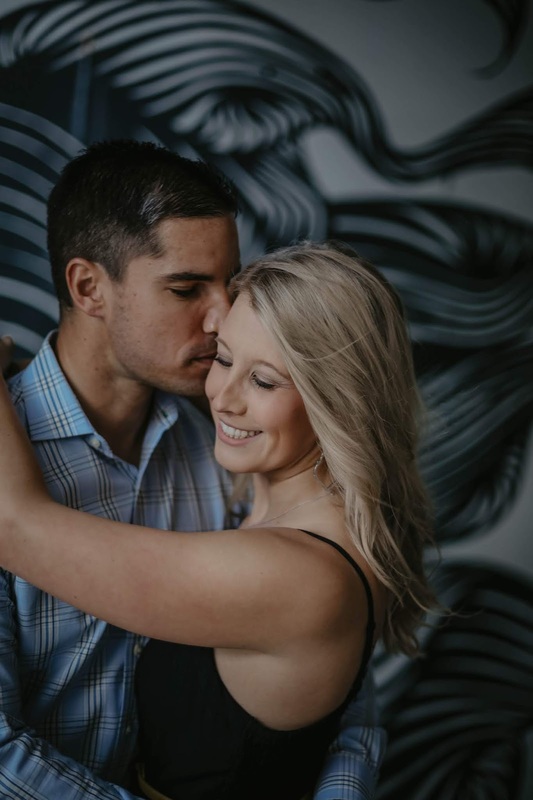 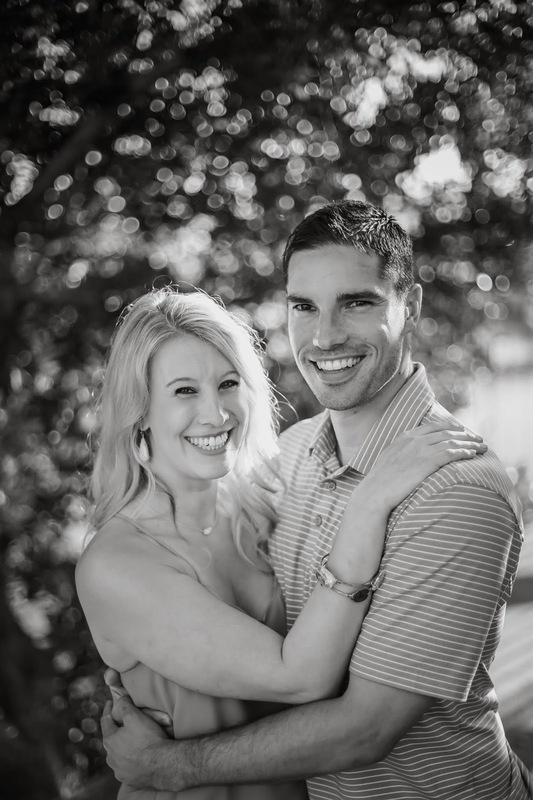 The couple is planning a spring wedding for Captiva Island but wanted to do their engagement shoot in their city, Sarasota. We used the waterfront and downtown area as a background for their dusk shoot. 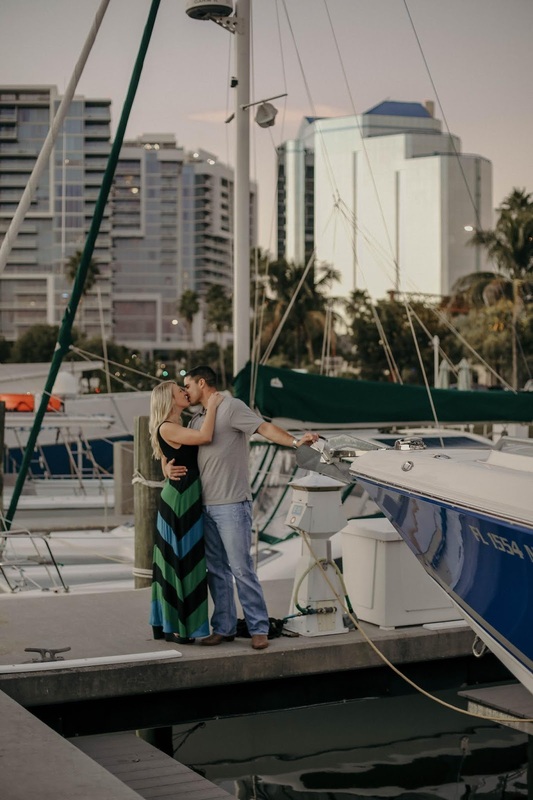 Sarasota has a beautiful marina area that worked out perfectly for their pictures and the downtown area gave us a great variety all within walking distance. 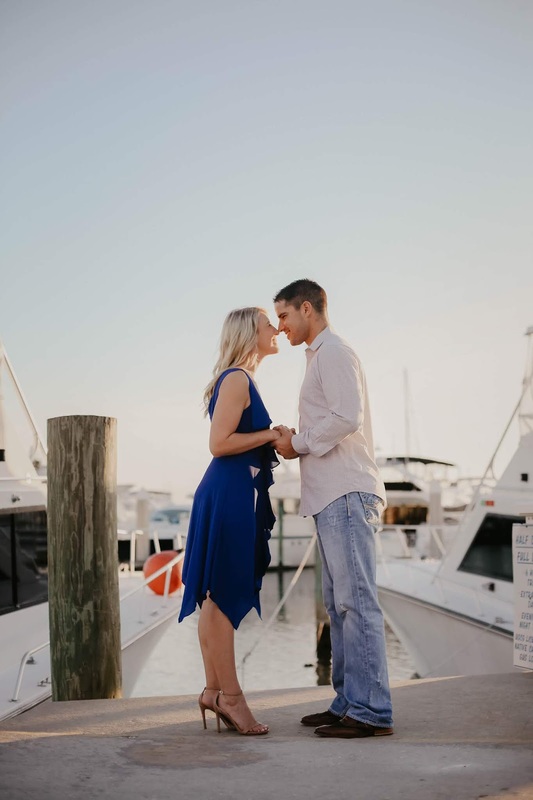 The location was tropical but still very different than their island beach wedding. I always love engagement pictures because it's a fun time to get to know my clients a little better. 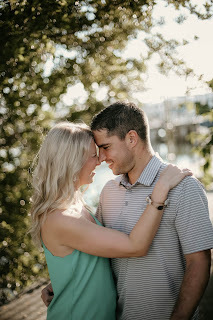 We definitely had fun with their photographs, now I really can't wait for their wedding!! 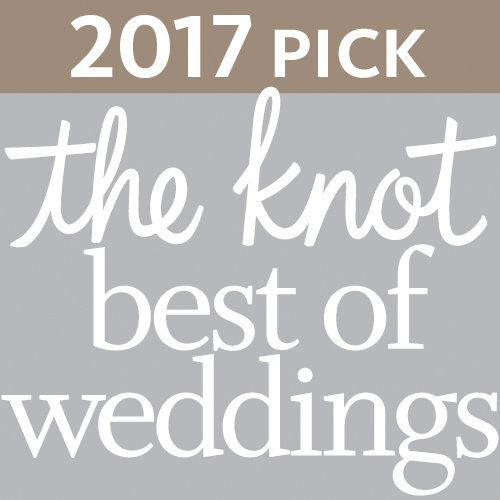 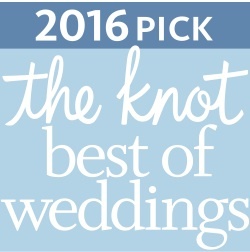 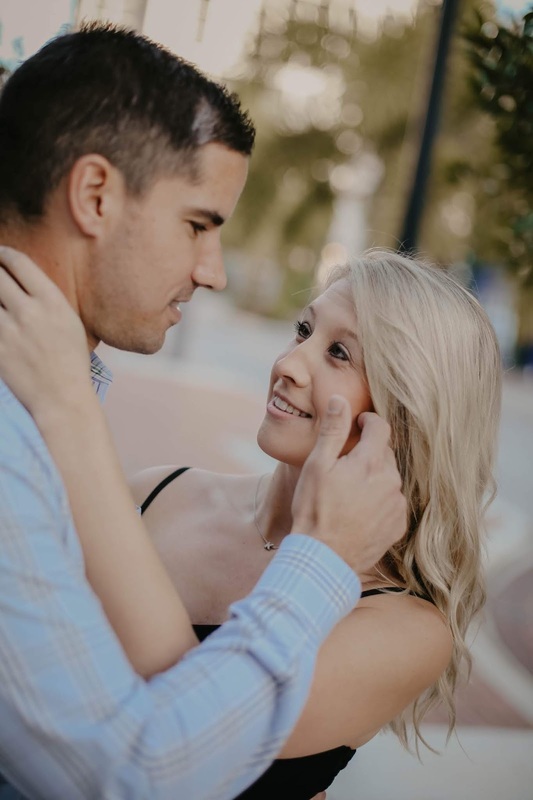 If you are wedding planning and looking for a photographer, I would love to chat with you. 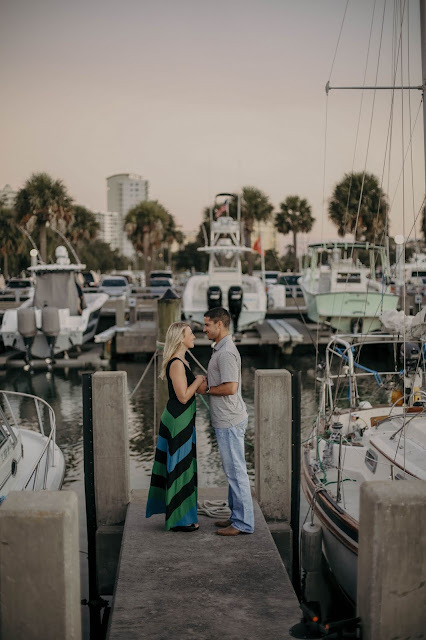 Often I'm able to come right to my clients hometowns to do their engagement pictures, even if they are planning a destination wedding ins Southwest Florida. Sometimes that's as close as Sarasota and sometimes its Chicago! 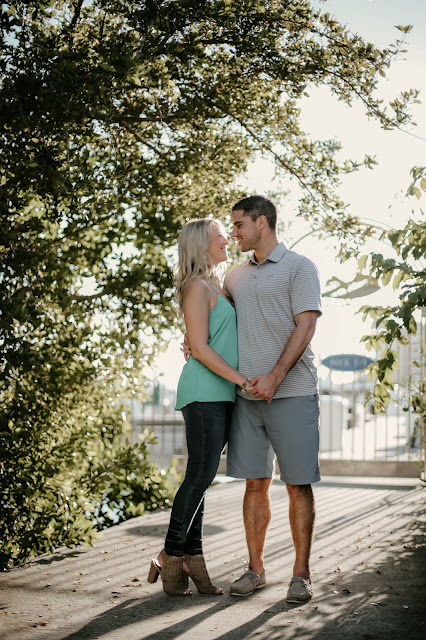 But no matter what I'm always happy to talk about options to make engagement pictures extra special!